Check out this great way to keep the kids busy this year, plus they get to have some original new clothes, gifts, or school-wear I love these fun crafty projects! Make sure to check out the coupon code below! Techi Christmas Giveaway- I'm not a techi person despite the blog, but I would like to win a giveaway like this! What about you? Another great thing about the holidays is all the giveaways! My favorites are the one's where you get to pick your prize! Talk about a great holiday tradition! The nutcracker ballet is a great way to expose your child to tradition and culture and something the parents can enjoy as well! Who wants to be in the video game? The Xbox Holiday Bundle offers you the closest their is to be in the game, having your body be the control! I would love to be in control of my holiday and win a giveaway like this! Kids are always looking for the newest of a product! Plus, there seems to be a daredevil streak in them now a days and they all want to do more tricks, have more control, and be the first at it all! The best way to keep them out of trouble and get them outdoors is to give gifts that support this in a healthy way! Have you ever had a bad day? I mean a really bad wish to yell obstinate at the top of your lungs bad day? Now, What if you were a sky writer? Would you share your bad day with someone? How about everyone? Trying to stay healthy this year? Or maybe getting a jump on the New Year resolution and starting your heatlhy eating now. Either way finding great Natural Products in a grocery story can be a mission of futility. I know when I'm grabbing the Pampers I hate having to look on all the shelves in each aisle I go in to see if their is a natural product to replace my usual non-natural product. So, where do you go for Natural Products? Kissing Santa Under the Mistletoe! This year for Christmas why not do something you've never done before for your hubby? Why not spend a little to get and give a lot of love? Turn this holiday into a romantic reminder of the spark that started it all for you. Since, you will be up late anyway on Christmas Eve, stock up on the coffee and about half way through the night offer a surprise to your spouse. Last Minute Money Giveaway Blogger Sign Up! Tis' the season to give away some money, at least I signed up to help give some away and so should you! Make sure you offer this one to your readers, I'm sure they would love it! Tis' the season to open your hearts and give back, in this case while you enter to win! Whether it’s for the tax deduction or the warm fuzzy feeling giving to others generates, most Americans plan to make a charitable donation over the holiday season. In fact, nearly 60 percent of Americans say they’ll donate between Thanksgiving and Christmas, according to a survey reported in the Chronicle of Philanthropy. World Vision Gift Catalog let's you shop and give at the same time! Mia Mariu Giveaway Blogger Sign Up! Makeup and an iPad Mini! Every mom could use some new makeup and what mom doesn't want an iPad Mini to help her organize her busy day? Sign up to offer your readers this awesome giveaway! I would love a Coach Bag and I know my readers would too so I signed up for this giveaway, have you? Kindle Fire + $40 Amazon Gift Card Giveaway! Talk about an amazing stocking stuffer to go with a great gift! I would love to find a Kindle Fire under my tree and then $40 Amazon Gift Card in my Stocking to get books! I think you would too! Check out this giveaway! 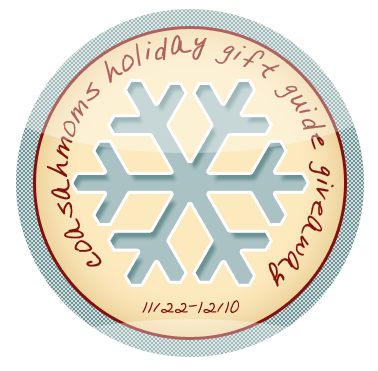 COASAHMOMS Holiday Gift Guide Giveaway! It's a Gift Guide Giveaway! I love these kinds of giveaways! THere are so many prizes and so many winners! Are you ready to try to win your way to a fuller Christmas morning? I love Soda Stream Giveaways because my readers love them! So, here is one for Christmas! Do you have someone in your life who just had a baby? Maybe you just had a baby and are looking for a little splash to your new mom wardrobe and want some suggestions for your Christmas wish list. As a mom one of the easiest way to bring a little style to your new look is with accessories. Functional accessories are great ways to bring color, style, and make your life easier once baby is born. If you win the $100 Amazon GC, what would you buy? Last Sunday we got the amazing chance to see one of my kids favorite shows on stage, Elmo! As we pulled into the parking garage my daughter surprised me by asking if we were going to see the big red dog. We had seen Clifford at the same Theater about a month ago and she remembered even the parking garage enough to ask! I told her that he had gone home, but that we were going to see Elmo instead. We got there early and found our seats, the stage was all light up and so were the kids! Win a Keurig Coffee Brewer and help yourself wake up early this holiday season. After all, come Christmas morning we will need a little pick up and go after making sure Santa had a save visit! Sometimes you just don't have time to stand in line, but need to get something special sent to someone you care about. Why not send them a basket of stuff this holiday? Ranging from his to hers from baby to corporate you can find a basket for any possible situation that comes up this season! I don't know about you, but I'd love to win a giveaway like this for my little girl. What would be your little girls favorite prize? Check out these amazing giveaways! 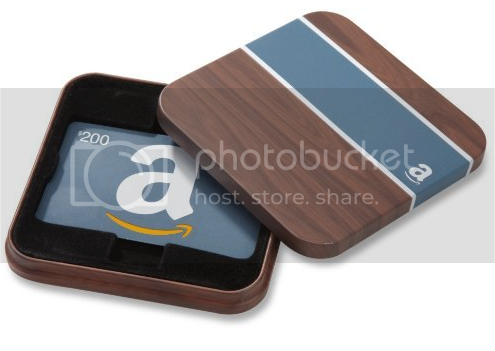 $200 Amazon Gift Card Giveaway Blogger Sign up! Who wouldn't like a Gift Card to help them shop this year? Talk about a load off the wallet, $200 can get a lot of toys or maybe a cool new tablet? I know my readers will love this giveaway and think your's will too, so sign up now! 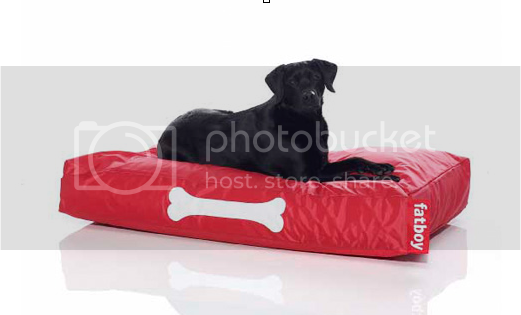 Our pets deserve to get some cool presents this Christmas too! Happy Home and Family and Jenn's Blah Blah Blog is going to make that happen! Spongbob Square Pants! 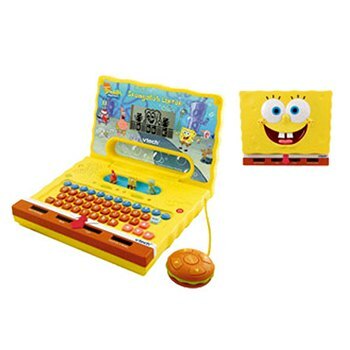 What a fun way for kids to explore a laptop but with one that looks like one of their favorite characters! I signed up to offer this giveaway to my readers and you should too! What reader doesn't love jewelry or have someone in their lives they would love to give some to? I know my readers love jewelry so I've signed up for this giveaway, make sure you do too! Do you have someone or know someone who would love this? What about your readers? Sign up to offer them this awesome giveaway and help brighten their christmas! 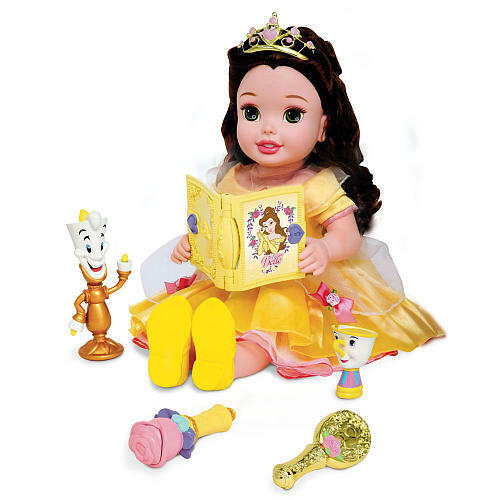 Disney Princess 20 inch Singing and Storytelling Doll Blogger Opportunity! Check out this great giveaway! I know my little girl would love this and I bet my readers have someone in their lives that would love it too! That's why I signed up to offer this to my readers and you should sign up for yours as well! *The blog that refers more bloggers will get FREE host :) Here is the promotional post! Any payment received will go to pay for prize that I already purchased , shipping charges and futures giveaways with no sponsors. If you think about thanksgiving you have to remember the kindness offered on that day. The pilgrims were in need of food and were unprepared for the weather of the season. The Native Americans offered a feast to them which helped them service. In memory of that kindness we decided to make head-dress. Many Native American tribes created headdresses specific to their culture. The items on the head dress had meaning and gave a message about the person wearing it. So, I combined the idea of making something special and giving thanks into one! Wouldn't winning this giveaway help you finish your Christmas Shopping? I know it would make my tree pretty full looking and the youtube post-able video's of them opening these up would be classic! Check this giveaway out! What kid doesn't want a WiiU? 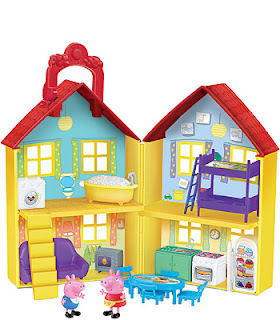 Big kids and little kids would both love this under the tree! Why not win one with this giveaway! You know what I hate about clothes shopping for Christmas? It's the same thing I hate when shopping for the kid's clothes regardless of time of year. Finding something to fit my kids height that won't fall off! This year, I think a little something will be put under the tree to help me with this problem. This Christmas will come just weeks before my son turns 2 and of course that means I'll be setting up his first dental appointment. To help prepare I thought it would be good to get a few items to help introduce him to the idea and thinking more about his teeth. I love it when a need and review opportunity come together! Tis the season to get your game on! Check out this awesome PS3 320GB Uncharted Giveaway! How much would you or your specail someone love something like this under the tree? I know that I, er, some people I know would love it under their tree! Enter now! So you are about to kick start the holiday season! Do you need a cup of coffee to help you face the insanity? Why not enter to win one?! I love holiday giveaways! I think my readers do too! Do your readers love holiday giveaways? Then Sign up for this one! Check it out now and sign up for your readers! Where are you getting the iphone products on your list? I don't have an iphone, but it seems like everyone I know does, so easy shopping is to nab some supplies for the iphone pack in my life. The trick is to get something that others wouldn't think of, but once in their hand they would wonder why it isn't on their list. First issue, find a place to get iphone products from. Now, I could just go to a store, but they are so over priced, so in my normal deal seeking fashion I head online! Why not give the gift of something amazing this year? Looking for an awesome event the whole family will enjoy? Get your tickets to the Harlem Globetrotters brand new "You Write the Rules" tour. Your family's smiles will start before you even get to the game as the Globetrotters take kid participation to a whole NEW level. Boy or Girl all kids want to be in the kitchen either to eat or help cook. Most will love the chance to pretend to cook while you cook and I would imagine you would get a huge smile with this under the tree (or next to it)! Dress up clothes, super hero capes, and simple pots and pans can all be fun toys through the imaginative eyes of a child. When you add those elements to a super fun play space, you could soon find your child occupied for hours. To kick off the shopping season some new outlets are opening up in Glendale, AZ! They have some awesome events lined up to celebrate and some amazing stores reader for shoppers this season! Phoenix, AZ blogger opp for AMF Bowling! AMF is looking for more bloggers! Check out this great blogger opp for Phoenix AZ Bloggers! you just sign up with Phoenixkids.com to get started reviewing events in the Phoenix area! 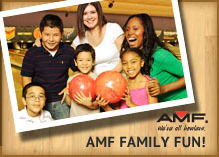 Make sure you let them know that Mommy Moments with Abby sent you and check out the AMF opp through Phoenix Kids! 1 winner gets it all? That means something for you or your teenager, something for your Preschooler, and something for your Elementary Aged Kid! Christmas covered! Enter to win now! 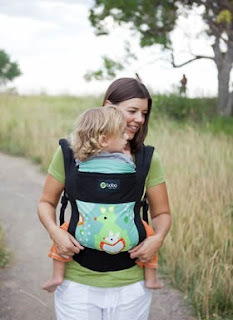 How do you carry your baby or toddler? I know that in our family hiking is a weekend norm, so it is important in finding a good carrier, but winning a good carrier is way better than buying one! So I signed up to offer my readers this awesome giveaway! Time for a new family tradition, lace up those shoes! The holidays are coming and family will soon flood the house, so what do you do with them? Why not take a page from your own childhood and go bowling! This way you don't have to cook or clean up after everyone and they will have a blast and memories to laugh about next year! It is so hard to find the perfect vacation souvenir. Often they cost a lot and break quickly or you end up with a closet or dresser of shirts that say I went here. While I like getting the occasional shirt, they aren't something I want an entire closet of. So, I try to think of better ways to take home vacation memories. A few years ago I went to the Black Hills with the husband and we got a few bottles of wine and while on a hike I took a grocery bag of dirt from a river bed home to fill the bottles. While we all know about putting sand in a bottle to remember a special trip, maybe adding a candle to the top if we feel it's right, but what else can we create from our collection? Cool mom product site! Check this out! LilyPadz, Lily Padz Silicone Nursing Pads can someone tell me where these where when I was nursing? I don't know about you but I had these cloth things that sometimes got stuck to the lanolin or if I slept to long the raw spots and then had to be painfully peeled off! Yuck and ouch so when I saw these my first thought was unfair! Why did I get stuck with the painful ones? Pamper your Plants with some at home treats! Pamper your Plants this growing season with a few tricks to help them grow and be healthy. It's almost time to plant your garden in Arizona as we ease out of the hot summer and into our version of winter. Here are some tricks that you can do with household items that will help them grow this year. Try them for yourself, but keep in mind; I am one of those who manages to get flowers that shouldn't grow, but can't keep alive the plants that should! Kylie Minogue just released her newest album, "The Abbey Road Sessions". I was recorded in London's legendary Abbey Road Studios with her band and a full orchestra for some of the tracks. I imagine the studio is the inspiration for the name of the album, but it could also be that the album is 16 of her classic songs re-imaged and re-arranged. Check out what I think of Kylie's Latest album. When you have kids no office is complete without a desk for them! Plus, what a great gift for under the tree this year! Enter to win this amazing giveaway for your little one! Each week, 2-3 days, we do a 15 minute yoga work out in my home daycare. Kids from 1 1/2 to 5 do this and while each does as much as they are able and in a way they are capable of they all get a nice stretch, a scheduled work out time, and some fun new body movements. We do the sun salutations and then add a few jumps, hops, new yoga pose, and teacher assisted somersaults at the end. In doing these poses always consult a doctor first, only attempt what is in your child’s ability level, and do what is comfortable for your and their body. Today we worked on Cat-Cows Pose or Marjariasana. These are only suggestions and like any exercise you and your children try them at your own risk, I am not there to show you and see what your body is saying so I can only offer these on a very basic level. Make sure to wear comfortable clothing that is easy to move in, have a yoga mat to work on, and do not wear socks because of the risk of slipping! Lastly, always remember to smile and never go past what your capable of and don't push a kid to go past what they are capable. I suggest starting with other poses before doing this one, forward folds, warrior, and cobra are a few good postures to try before starting. Make sure your kids are warmed up before doing this pose. Start by having the kids stand with their feet slightly apart. Have them reach up to the sky, pretending to gather the sun rays to keep for winter, now ride a breeze and dive down to your toes! Bend your knees until your bottom hangs just off the ground, rib-bit and hop a few times like a frog. Now, with your hands flat on the ground put one knee back then the other to make a flat table top! With out bending your arms or moving your legs try to touch your belly to the floor and give a moo like a cow! Bring the air in and arch your back to the ceiling with a hiss like a cat! Repeat again a few more time's before coming back to the table top! Now straighten your legs and give a breath, step each foot to your hands and tickle your toes for a good laugh. Now, reach up for a few more sun rays bringing you to a stand. Exhale your hands down the middle slowly pushing the air out one last time. Then thank you for your practice because politeness is key and we should be thankful of the movement our bodies provide us! Check out these awesome prizes. I love Christmas Giveaways! They can definately help you get those stockings stuffed or treat yourself for all your hard work! Check it out! Week 2 of the Keurig Platinum Giveaway is here! This means their are 3 chances left to win yourself a Keurig Brewer! Enter to win this week and then come back next week for the chance to win again! How do you take your coffee?